National Trail MVCTC FFA provided a Moo-nificient Day for elementary students, grades K-4, on Thursday, May 10. 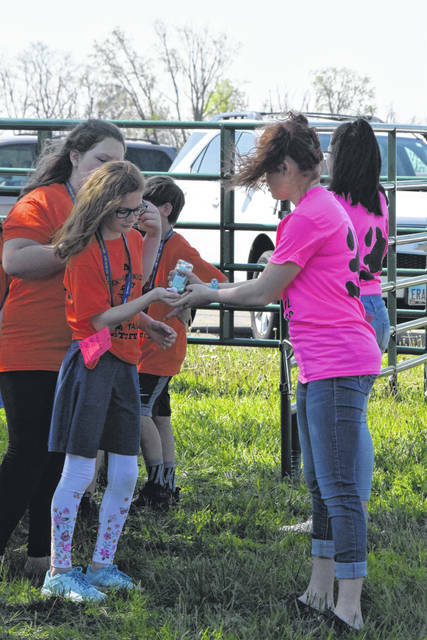 Thanks to a sponsorship from a community member, the organization was able to bring out the younger students to experience a taste of FFA. NEW PARIS — National Trail MVCTC FFA provided a “Moo-nificient” Day for elementary students, grades K-4, on Thursday, May 10. Thanks to a sponsorship from a community member, the organization was able to bring out the younger students to experience a taste of FFA. Each student in grades kindergarten-fourth rotated through four different stations. Students created a paper cow to take home, sampled different dairy products, milked a cow, and petted animals. At the conclusion of the four rotations students were served vanilla ice cream and given a take-home souvenir bag from the day which included an activity book focused on Ohio’s dairy industry. The sponsorship covered all of the expenses for the day, including the station supplies and t-shirts for all of the elementary students and staff. 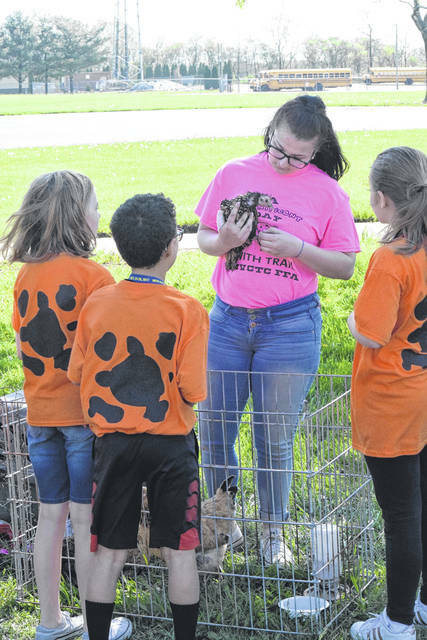 According to FFA Advisor Carmen Kennel, many students described it as “the best school day ever,” but she believes the event was equally as important for the high school students to participate in. 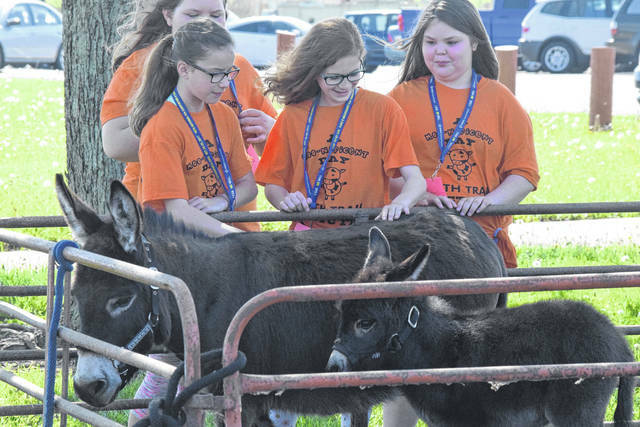 “I loved seeing our high school FFA members interact with the elementary students and staff and present such a professional event for students to take part in. 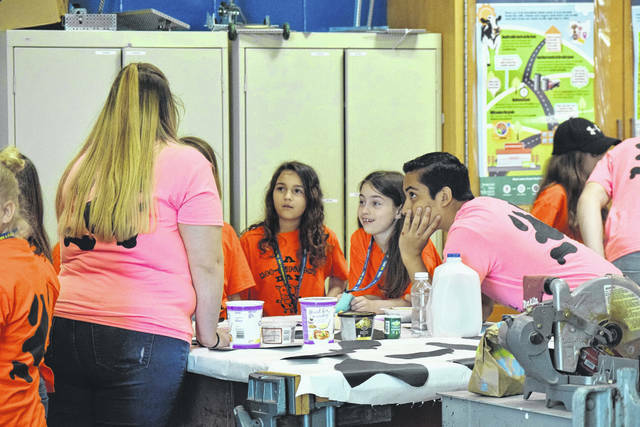 It was great seeing both administration from Miami Valley Career Technology Center and National Trail schools be so impressed with our students,” she said. “The purpose of the event was to expose students to agriculture at an early age. It was also a great experience for our FFA members to interact with the younger students. Our FFA members had to develop the lesson plans that were utilized as well as develop their communication skills to share their message with the elementary students and staff. Kennel added, while this was the first year of the event, they hope to host it for several years to come. 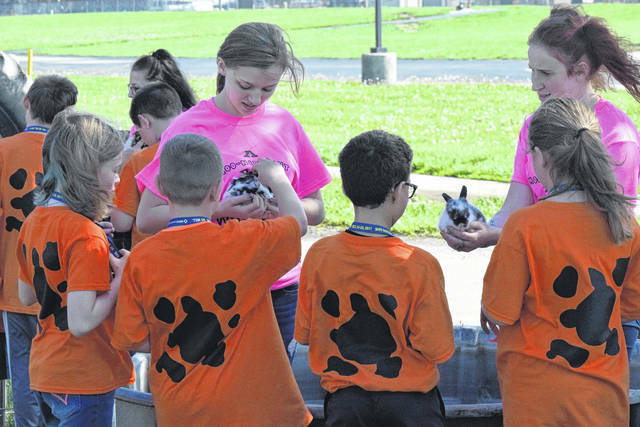 https://www.registerherald.com/wp-content/uploads/sites/41/2018/05/web1_Ag1-1.jpgNational Trail MVCTC FFA provided a Moo-nificient Day for elementary students, grades K-4, on Thursday, May 10. 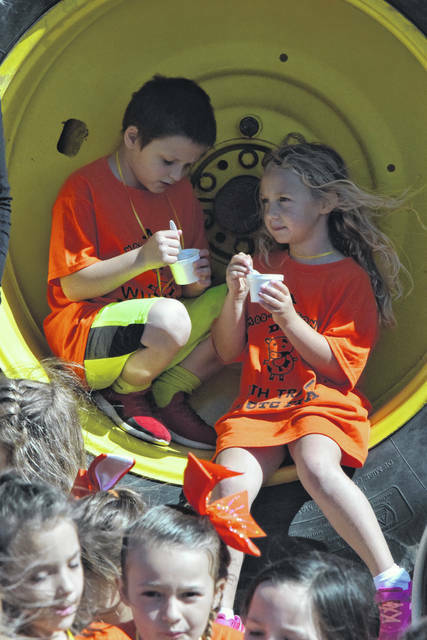 Thanks to a sponsorship from a community member, the organization was able to bring out the younger students to experience a taste of FFA.